As always - I would like to point out - not everything on the bing card are items I think will be announced. 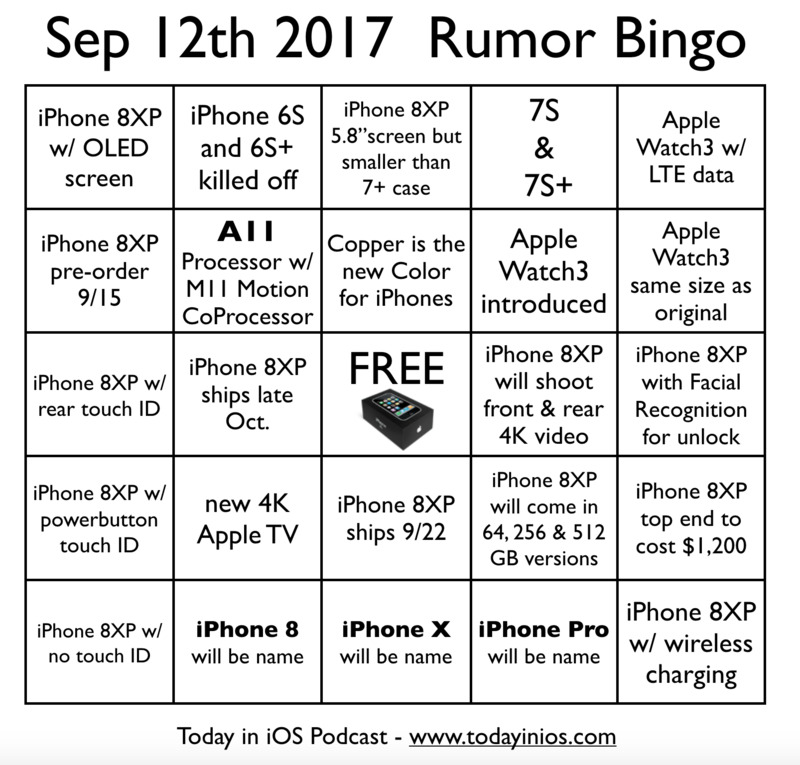 However these are the top rumors out there leading into the September 12th 2017 keynote event. Per the Rumor Bingo card above for those sight impaired and using Voiceover. Below is the actual layout of the bingo card going left to right in plain text. Reference to iPhone 8XP - means the next gen OLED iPhone rumored to be called either the iPhone 8 or iPhone X or iPhone Pro - hence - 8XP. iPhone 8XP ships late Oct.